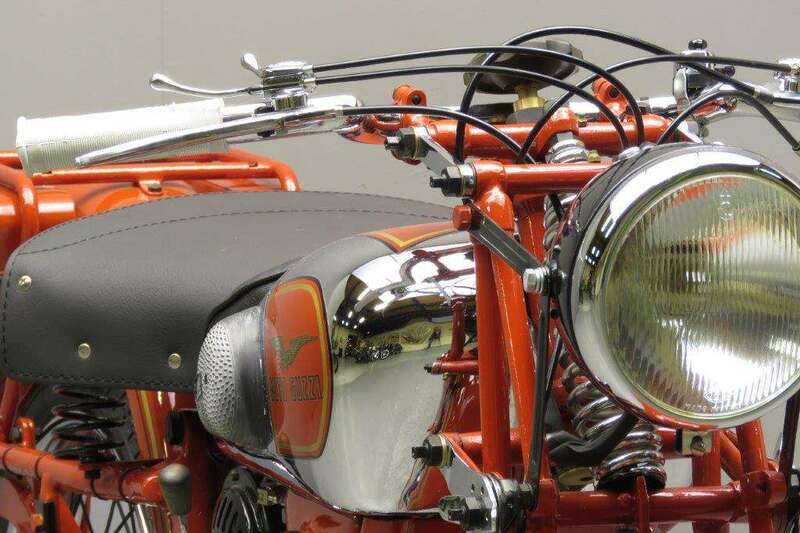 The roots of the Moto Guzzi factory can be traced back to 1918, when the Italian Air Force pilots Giovanni Ravelli and Giorgio Parodi, together with their mechanic Carlo Guzzi used to spend their off-duty time talking motorcycle technology and finally decided to start their own factory. 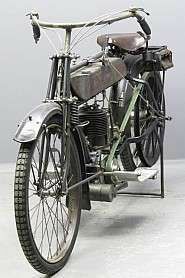 Unfortunately, Ravelli died in a plane crash shortly after the armistice in 1918, so he never saw the first machine based on Carlo Guzzi's plans that was built in 1919. To commemorate Ravelli, it was decided to use the eagle of Ravelli's flying unit as the logo of the new factory. 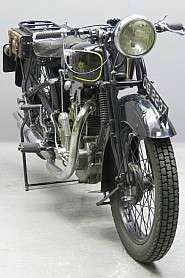 Officially, the Moto Guzzi factory was started in 1921. 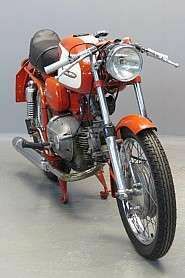 The first model of the factory was the 500 cc single-cylinder Tipo Normale. 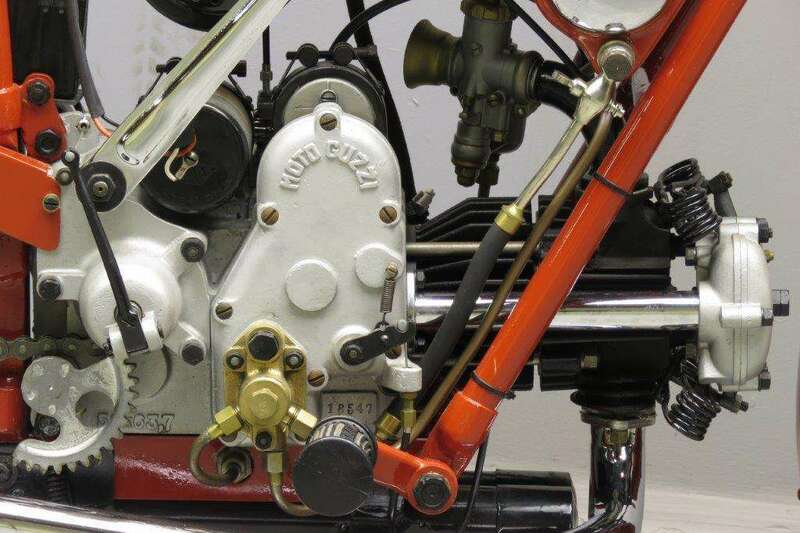 The main features of this engine - horizontal cylinder, magneto located on top of the engine and an external flywheel - could still be seen in the last single-cylinder Guzzis, the Nuovo Falcones of 1976. 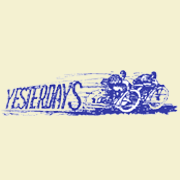 Up to the early thirties the factory concentrated on the 500 cc class. 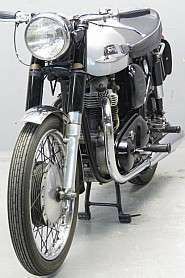 But to reach more customers it was important to diversify and this was done by bringing out machines in the 250 cc and 175 cc classes. 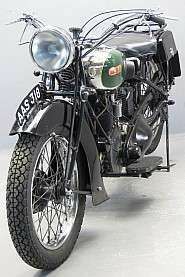 The first 175 cc was the P 175 that was brought out in 1932. 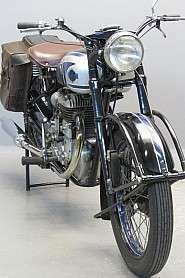 The model pioneered several new features that would eventually find their way in the 500 cc production models, in particular the overhead valve configuration. 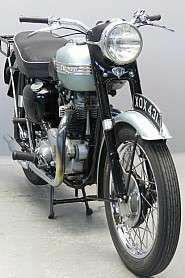 The cylinder head design was advanced, the two 32 mm valves having a narrow 62-degree included angle. 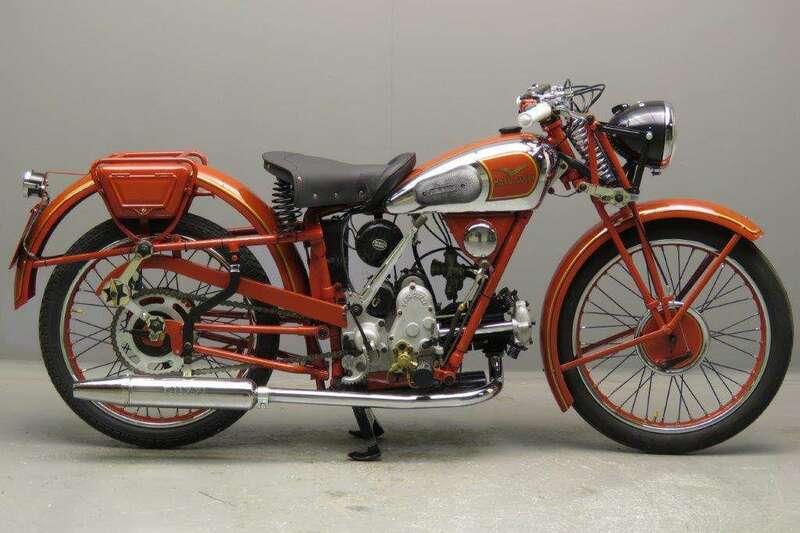 The model was designed to fit into the economical taxation class for lightweight motorcycles, the "motoleggere" and it stayed in production till 1937. 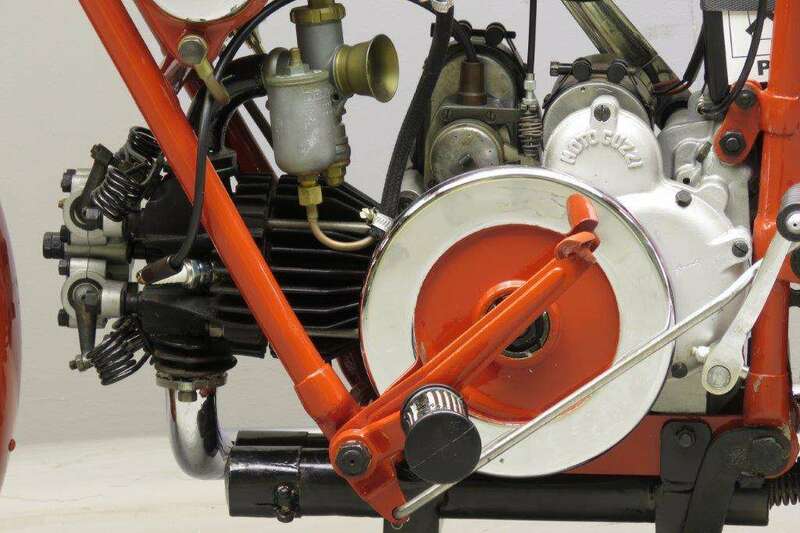 The 59 x 63.7 engine delivers 7 hp @ 5,000 rpm with a compression ratio of 6:1. The machine weighs a mere 115 kg and the top speed is 90 km/h. 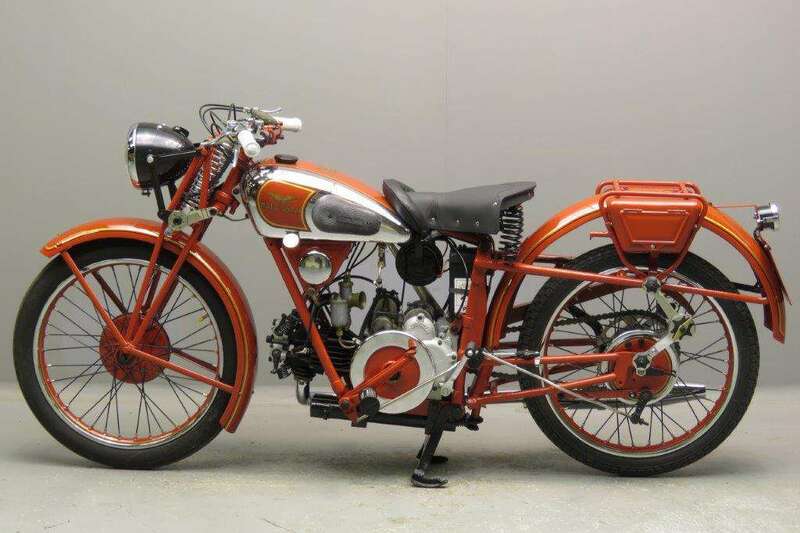 This excellently restored machine is fitted with Miller dynamo and Bosch claxon.